Dorothy Siegel, MPA, is the Director of the ASD Nest Support Project. Since 2003 Dorothy has been collaborating with the NYC Department of Education and Hunter College Professor Shirley Cohen to develop, implement and replicate the ASD Nest Program in New York City’s public schools. As a long-time advocate for special education reform, her work in the early ‘90s with District 15 in Brooklyn led to the creation the inclusion model now called Integrated Co-Teaching. 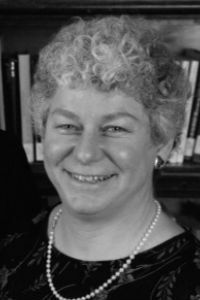 Dorothy was previously a senior researcher at NYU’s Institute for Education and Social Policy, where she directed studies and evaluations of the NYC public school system, including an evaluation of school-based budgeting.